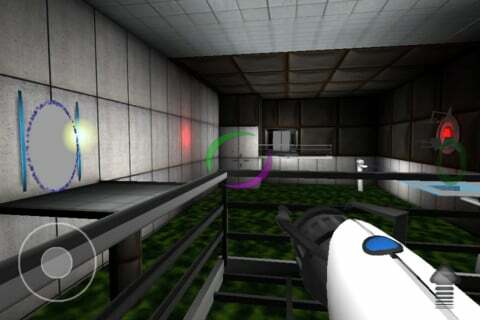 iOS developer Jeff Slavitz has created an iPad and iPhone version of Valve’s Portal game for PC and game consoles. The app, called Wormholes, is a very close knockoff to their PC and console versions of Portal. Use cubes and buttons to unlock doors to get to the finish! There are some texture graphics within the game that could be better but this game had already passed all my previous expectations. The controls were nice, the walking pace was a little slow for my liking but then again I’m pretty picky. I got up to the fourth level and stopped. I had to let you all know. The world would be worse off without hearing about this awesome game. You can download Wormholes from the App Store and is completely free! Wormholes only works on he iPhone 4, iPad, iPad 2, and iPod Touch 4th generation, as the developer stated, and will run better on the iPhone 4S and iPad 3.